Caption slip reads: "Photographer: Wilson. Date: 1959-11-17. Reporter: Lewis. Assignment: Lana Turner. 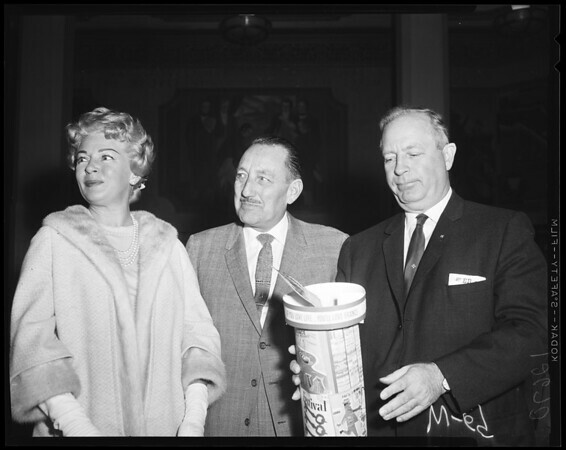 68-69: L to R Supervisor Chairman Frank G. Bonelli, Lana Turner and Supervisor Ernest E. Debs".